As soon as winter arrives, my skin is just unbearable. My skin is dry, and it has been quite itchy, lately. My legs especially have been feeling the itching wrath, and you can all imagine how uncomfortable that is. Good thing, I have the Vaseline Total Moisture Conditioning Body Lotion (around $4-$6) by my side. This is actually my first time trying out a body lotion by Vaseline and I couldn't be more pleased with the results. 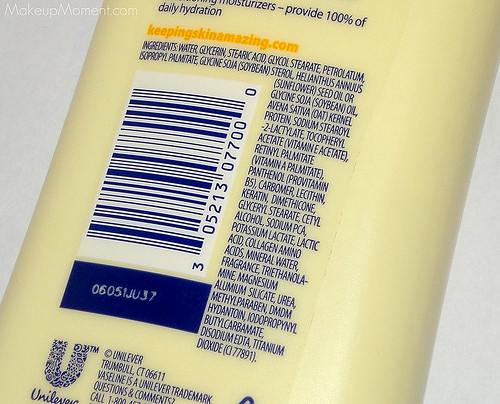 I love that this body lotion contains Vitamins E, A, and B, which are great skin moisturizers and soothers. Also, this lotion also contains minerals which help give skin the nutrients that it needs. The combination of vitamins and minerals work together to replenish the skin with moisture and hydration. And I think it sure does a fab job at that. When I smooth this lotion on my skin, my skin just feels so much more smoother and supple. The lotion is very creamy. It does not have a thick consistency, nor a thin one. My skin absorbs this lotion quickly, and a little bit of this product truly goes a long way. I do detect a fresh fragrance to this lotion, but its not the least offensive. Once the lotion is applied to the skin, I find that the scent dissipates within 5 minutes or so. After that, I just get a tiny hint of the scent, which I find quite nice actually. If you are looking for an effective body lotion that will moisturize your skin in a snap, then this may be a product that you would want to look into. I think its definitely worth a try, seeing as its super affordable. My only concern with this body lotion is that it may not be enough for those who have super dry skin. I think for that, a thicker formula may be needed. Just something to keep in mind. 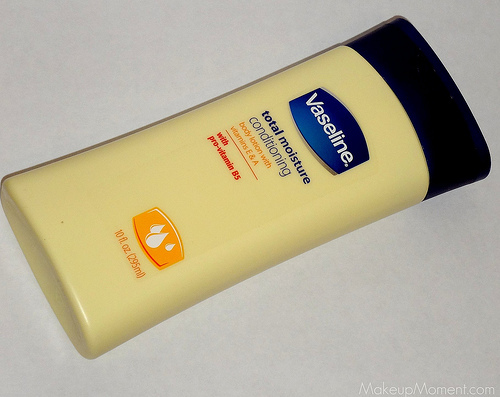 What do you all think of this body lotion by Vaseline? What are your favorite body lotions to use in the winter time? I've tried this lotion before but I really didn't find anything spectacular in it. Its just like my other lotions. Great review! Thanks! I'm sorry you weren't too crazy about it, Sofia.